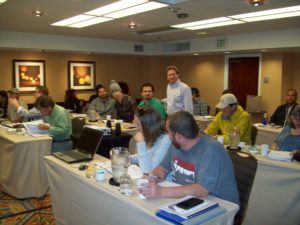 Training – THC Safety, Inc. This Cannabis Concentrate Production (CCP) Technology course is designed for those interested in establishing, regulating, designing or operating a cannabis extraction facility. During this day long course, students will be given an in depth understanding of specific CCP requirements, different types of commercial extraction process, the chemistry behind the processes, post extraction processes, identified hazards and recommended controls. This Cannabis Processing Facility Design (CFD) course is intended for architects and other planning, code compliance and construction professionals to learn about best practices, codes, regulations, equipment, and work practices required to construct a safe, efficient and compliant cannabis / marijuana cultivation, extraction and/or infusion facility. We have created a Cannabis Concentrate Production (CCP) Technology course for those interested in establishing, regulating, designing or operating a cannabis extraction facility. Students are given an in depth understanding of specific CCP requirements, different types of commercial extraction process, the chemistry behind the processes, post extraction processes, identified hazards and recommended controls. In addition each student will receive a manual specifically written as a reference for attendees. You will be taught by Jim Lieberman, a chemist and a certified industrial hygienist who has multiple publications in his field and has been recognized for his instructional ability. Your instructor practices what he preaches by assisting firms providing an effective design and compliance for CCP and CIP facilities. In addition, the course will review post extraction processing necessary to create commercial products from the extract. 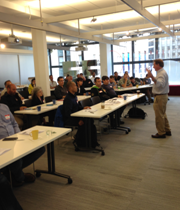 This course in conjunction with equipment manufactures manuals will fulfill most state training requirements. This course will cover multiple technologies, which you may want to add to your current operations. The course will cover the science, technology and safety of the extraction and post extraction processing.